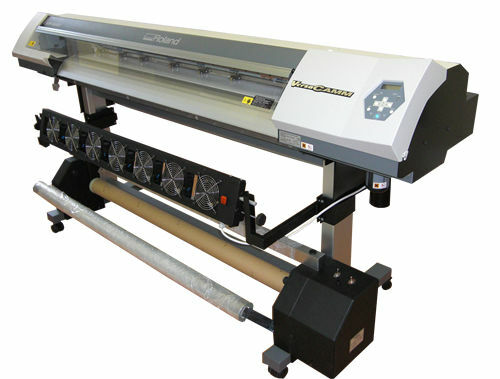 This winding system is suitable to wind the printed media with different width. The winder is attached to the base of the digital printer. 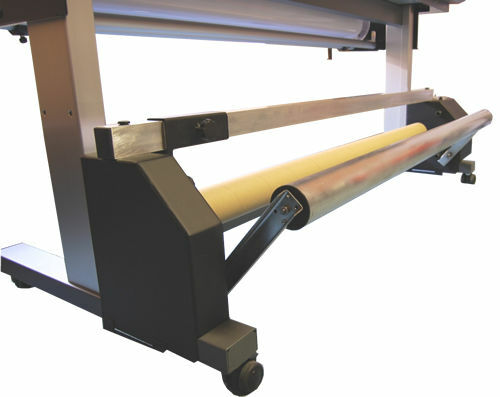 At this winding system the printed media encloses the tension bar and then attached to the core. The position of the winder tension bar controls the electric drive to keep a proper winding process. The direction of the winding is altering. 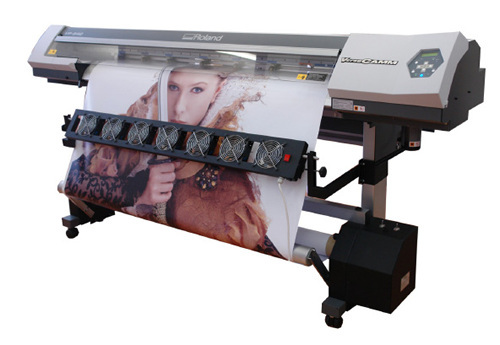 The large format printer can be installed with a fan row. The air flows to the printed media and makes the drying process more effective. The fan row is very useful at medias which are printed with dark color inks. The fan row mounted to the frame of the printer. The console of the fan row is adjustable in that position that the air flows to the media in the best direction.